It’s January so, if you’re anything like me, you’ll be broke, shivering, sad and in dire need of something lovely to look forward to. So how does a free dinner for two sound in Dublin eatery, Bel Cibo? Pronounced Bell Chee-Bo, the name literally means ‘Good Food’ in Italian and, having popped in just before Christmas to sample its wares, Mr Fluff and I would heartily agree. 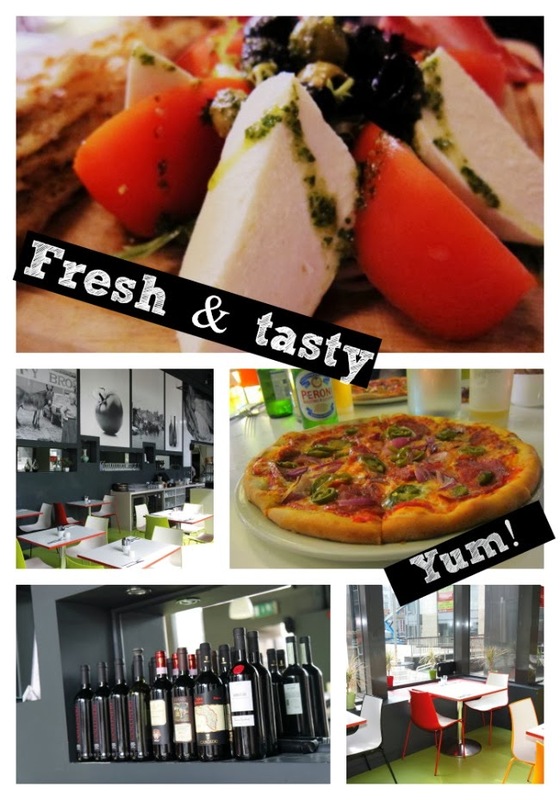 Located in Smithfield, this stylish, contemporary Italian serves up tasty pizza and pasta dishes in a casual, relaxed atmosphere. The interior is fresh and modern but with some really atmospheric black and white photography that depicts both rural Italy and Smithfield as it was back in the day. Our pizzas were delicious, the antipasti selection was immense, the wine incredibly moreish and the service spot on; we'll definitely be back. The restaurant draws a good crowd both from locals and visitors to the neighbouring Lighthouse Cinema - so why not make an evening of it and catch a film at my favourite Dublin cinema, while you’re in the ‘hood? If you’re interested in checking it out for yourself (making sure you can make it to Dublin to take up your prize) then just pop your details into the widget below. Good luck! Would love this for me and fiance as we're both veggie so Italian restaurants are always brilliant for us! You had me me at moreish wine and pizza! Oooh now I want pizza for brekkie!!!! I live really near smithfield so this would be perfect for me! Pizza is so great. PIZZA!!! another fabulous prize. Thank you. Ah I would love this, I live nearby! A free meal would brighten up January! If I every come to Dublin I'm going to eat at this restaurant. Lovely prize would love to win! HOpe I entered it right! That is an amazing price! I am needing a dinner date, I have been suffering from January blues! Fab competition! Would love to win and liven up my January!